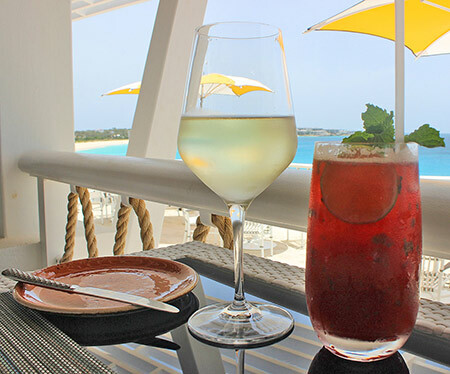 We may be about one month early, but it's sure starting to feel a lot like summer here in Anguilla. 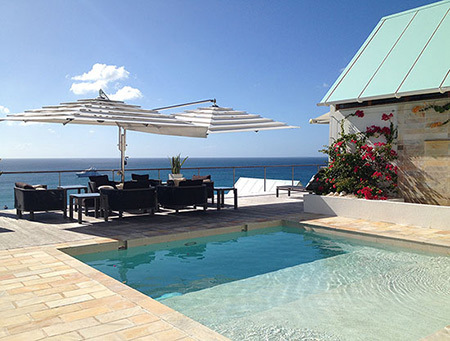 Ah, yes... the reasons we love summer in Anguilla are many. 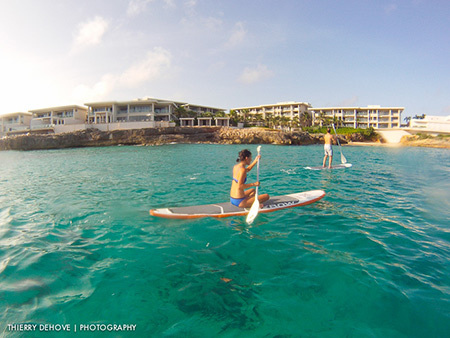 With Anguilla Watersports as your guide and the ocean as calm as a pond, navigating the normally rough waters that surround the likes of Viceroy is easy and effortless. Water shimmering underneath your board, it's a beautiful time of the year to get up close with Anguilla's waters and shorelines. Reason #2? Most restaurants and shops stay open through the off-season, unlike in other seasonal destinations (ex., Cape Cod). 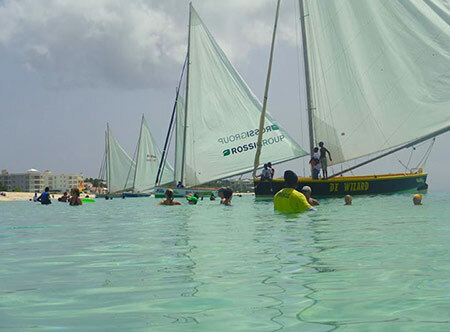 Temperatures are moderate (rarely going above 90F), the vibe is ultra-relaxed and there are plenty of exciting events including the Anguilla Open and the event of the year... Carnival! 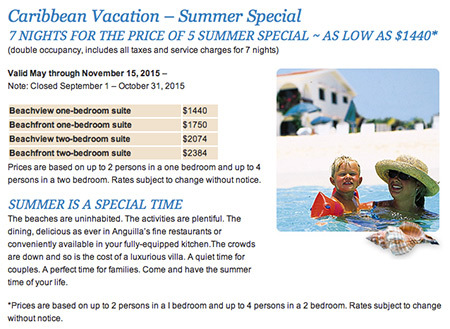 There are many tremendous specials to be had come summer in Anguilla! It is the most affordable time of the year to visit. When hunger strikes? Their restaurant, Blue Bar serves up the finest pizza on the island and is known for their excellent nightly dinner specials, too. A big congratulations to CéBlue, too, who was just awarded their 2015 Certificate of Excellence by TripAdvisor! 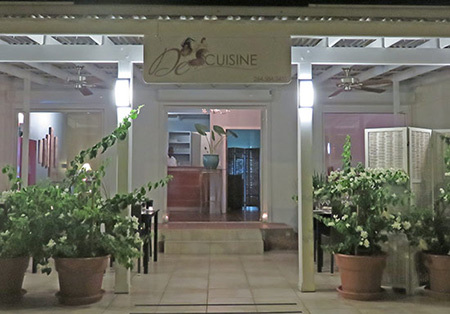 This year, two new restaurants receiving high ratings opened up on Anguilla's "road-side." Denise Carr and Joash Proctor, of the former SandBar, have created a modern-chic oasis just next to Geraud's in the strip mall. 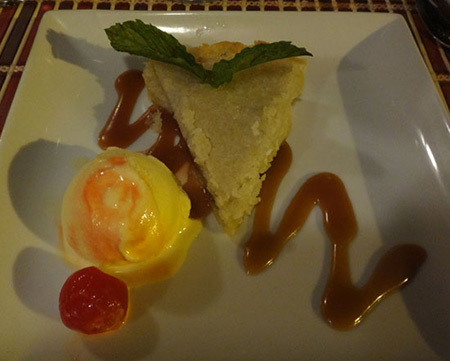 In a beautiful setting, the real reason for their accolades is Chef Denise's innovative cuisine! A true culinary journey, the tight menu features a select number of items, all prepared with careful attention to detail. Think: Red Cooked Pork Belly and Tuna Tartare, Foie Gras Mousse, Rillette of lamb with honey glazed eggplant, brunoised roasted carrots, onions and garlic with fresh mint yogurt. 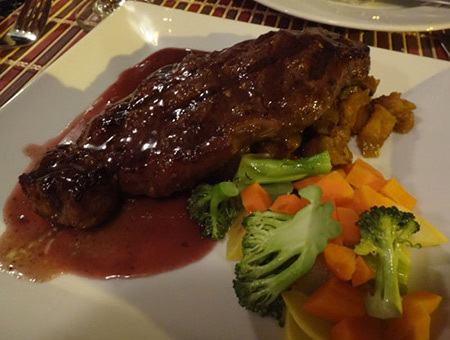 At a more moderate price-point, Sarjai's has become a favorite for simpler cuisine prepared perfectly. ... are two of our favorites! It is owned and operated by Chef Darren Connor. Famous here in Anguilla, he is known for "bringing home the gold" from all of the regional culinary competitions, including the most prestigious, "Taste of the Caribbean Culinary Competition" in Miami. His true passion has long been to open an excellent spot of his own and he has done just that! The Strip A night life spot that has been growing in popularity, The Strip is home to excellent (and affordable!) 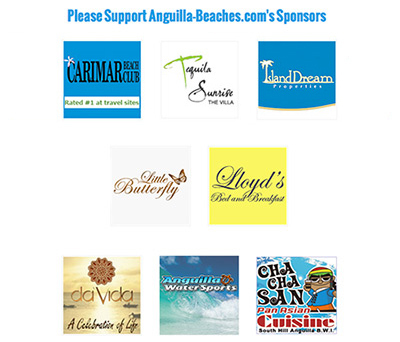 vans and shacks serving up Anguillian cuisine, all with a lively spirit in the air on the weekends. Lionfish Known for its graceful beauty yet venomous and invasive ways, did you know the lionfish is also delicious? 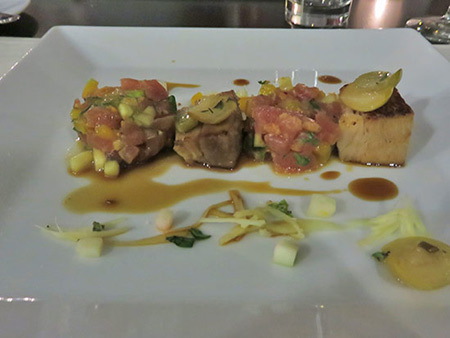 We take a look at how to help out a good cause in Anguilla by dining on this delicious fish! Rendezvous Bay Hotel One of Anguilla's original hotels, one that has been long-loved, Rendezvous Bay Hotel has been refurbished and has re-opened. 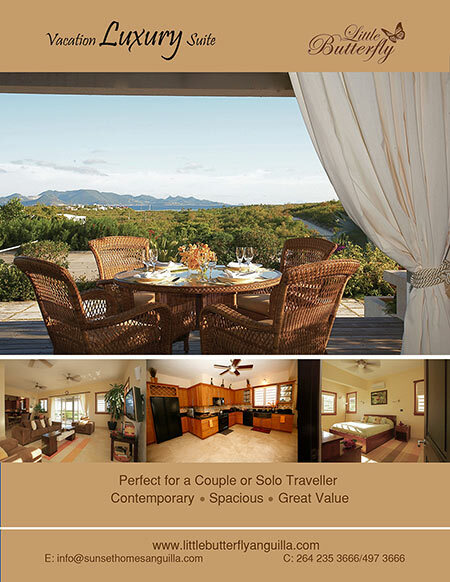 Set on the quiet, eastern side of Rendezvous Bay, with clean, modern rooms at a reasonable price, this hotel is indeed a jewel, right on the sand. Little Curry House Curries! Doubles! Roti! You can find them all at this new, affordable spot in The Valley, Little Curry House. 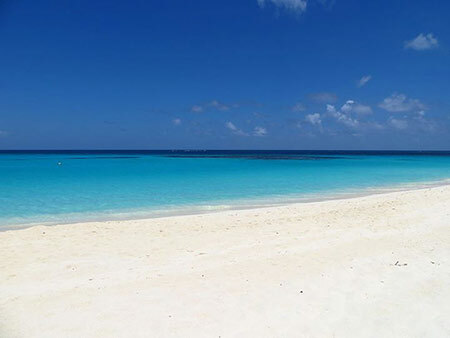 Last, but certainly not least, we have been having a lot of "on" Anguilla's beaches this month at Anguilla-Beaches.com. 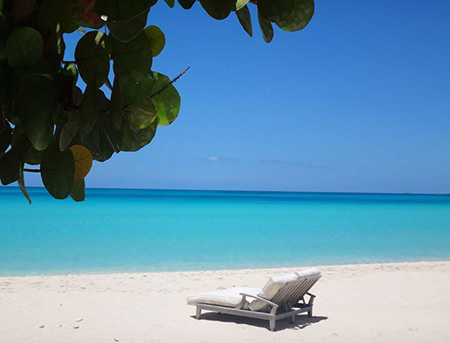 First, Shoal Bay East has taken the lead as Anguilla's #1 beach as voted by you! 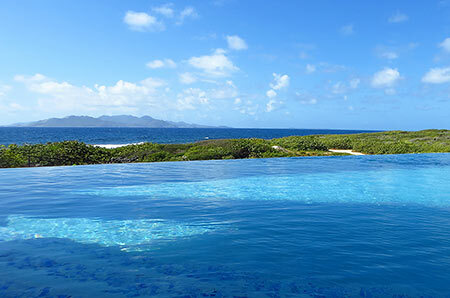 Anguilla is known far and wide for being home to the best Caribbean beaches. From CNTraveler to ISLANDS Magazine, Anguilla's specks of pristine sand have graced the likes of high-profile magazines for decades. Only 4 of the beaches in the photo collage above are Anguilla beaches. ID the 4 beaches and, if you can, name the beach, too. 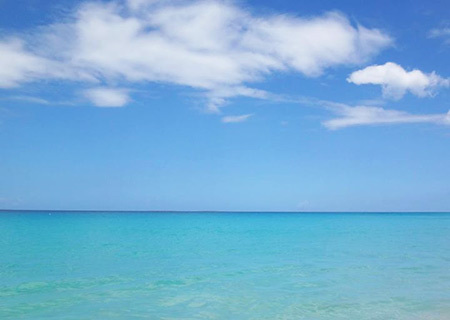 The first person to correctly ID all Anguilla beaches wins a free Anguilla Card, too!